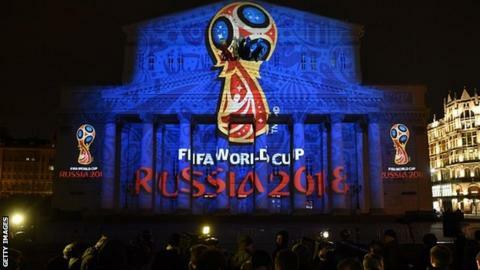 Abandoned World Cup qualifiers will be restarted from the point the clock stopped as part of revised Fifa rules. Players must also produce a valid passport 24 hours before kick-off to reduce eligibility infringements. In 2014 World Cup qualifying groups, ineligible players proved the biggest administrative problem for Fifa. Africa was the only one of Fifa's six continental confederations that had problems with federations failing to gain proper clearance for players. Seven African nations - Burkina Faso, Equatorial Guinea, Ethiopia, Gabon, Liberia, Sudan and Togo - fielded players who did not have valid clearance, forcing Fifa to award 3-0 wins to their opponents. Fifa now requires matches abandoned during play to be restarted at a later date with the same line-ups from the point the clock stopped. Previously a full 90-minute replay was ordered. A player without a valid passport shall not be entitled to play. Identity cards or other supporting official documents shall not be accepted. Fifa has abolished the maximum fine limit of 1m Swiss francs (£700,000) for federations if a team that qualifies to play in Russia is withdrawn within 30 days of the opening match or during the tournament. Goal-line technology can be used in qualifying matches, if both teams give written consent. Cooling breaks can be ordered by referees in qualifiers. The introduction of the rule that will see abandoned games restarted from the same point comes a month after the same regulation was employed in England women's European Under-19 Championship match against Norway. That match was restarted with three minutes of injury time to be played, and England 2-1 down with a penalty to take, following a refereeing error.